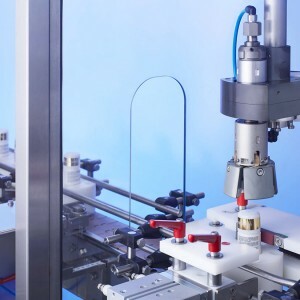 … for bottles and cans for an output up to 300 bottles/min. At the Interpack 2014 we will present a world new mohno pump filling machine. 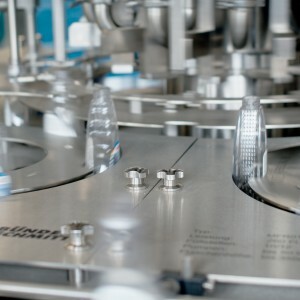 It will be the first rotating filling machine equipped with 12 mohno pumps. 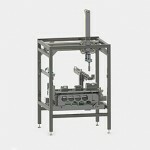 It is prepared with a free programmable filling valve stroke wich allows us an under level filling for foamy products. 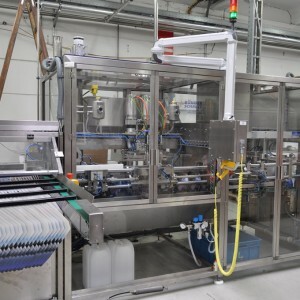 Now we are able to reach an output of more than 250 bottles per minute (depending on the size of the bottle) It is also equipped with an automatic cleaning tank. … for bottles and cans. No splashing for an output up to 45 pieces/min. Closing is done without stop with a Gantry-Axle. The first two cappers were delivered by Bünder & Schmitt to Sonax in Neuburg an der Donau.